It seems researchers have lately been trying to tell us something. We’re spending way too much time on social media. The latest warning comes from Texas State University where researchers have found a link between negative social media activity and major depressive disorder (MDD) in millennials. Their findings are published in the Journal of Applied Behavioral Research. The study focused on a group of millennials who used social media platforms like Facebook, Twitter, Instagram, and Snapchat. It found that young people who were diagnosed with MDD tested higher for social media addiction. 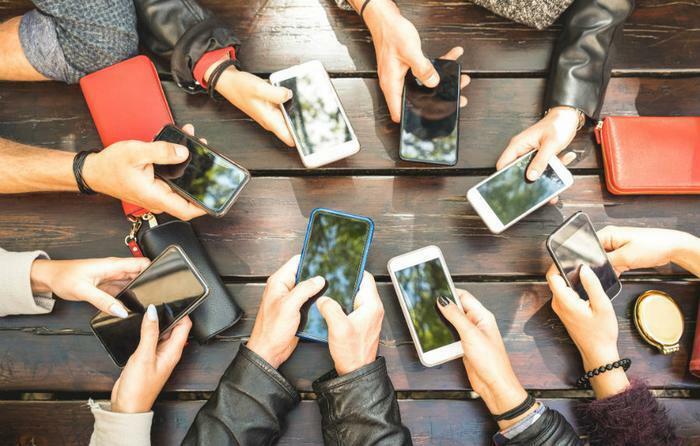 This group of millennials, many of whom came of age with social media, tended to compare themselves to their peers who were obviously better off than they were. This group was bothered more than others by being tagged in unflattering pictures on social media. They were also less likely to post pictures of themselves with other people. They also had fewer followers. Krista Howard, co-author of the study and a member of the Department of Psychology at Texas State, is quick to say that social media isn’t all bad. She says it can have many positive benefits, including showing people they have social support. “The key is for individuals to develop an awareness of how they currently use social media and to determine what changes could be made in their social media use to reduce the behaviors associated with psychological distress,” Howard said. Another academic study, released last week, also points to the negative effects of too much social media. Researchers at Michigan State linked too much social media to bad decision-making. Their study rated participants on their dependence on social media and then had them take a test that measured their decision-making skills. Invariably, those who spent the most time on social media made the worst decisions. Last fall, researchers at the University at Buffalo published their findings that showed social media use can create feelings of being excluded. It occurs, the researchers found, when a person sees their friends on social media engaged in an activity that didn’t include them. Howard says it just gets back to limiting social media use. In addition to spending less time looking at Facebook or Instagram, she suggests unfollowing individuals or groups that are the cause of distress and limiting online social comparisons.